What makes the Hotshot Series washdown pumps the weapon of choice for fish box, scaling, boat and anchor chain cleaning, and idea for the harshest marine environments? A hard-fought reputation backed by over 35 years ofoperational excellence - proven with over 7 million Jabsco diaphragm pumps in service worldwide. 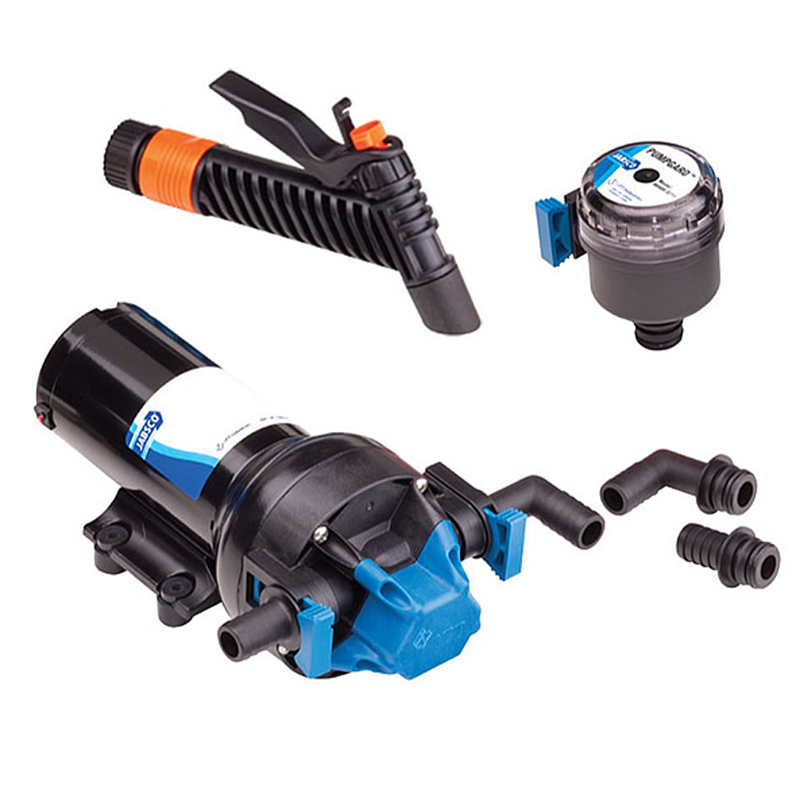 The Hotshot Series robust five chamber, co-injected molded diaphragm and larger heavy duty motor brushes significantly extend pump life up to 50% longer than existing Jabsco diaphragm pumps.